DEP is kicking off Air Quality Awareness week, May 1-5, 2017. The purpose of this week is to raise awareness about air pollution, what DEP is doing to reduce the public’s exposure to air pollution, and to encourage everyone to take action to protect themselves and their families from air pollutants. 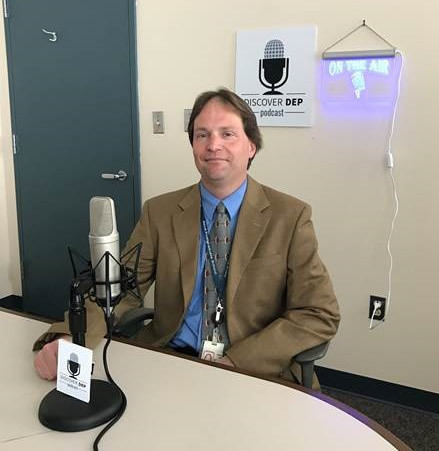 To celebrate Air Quality Awareness Week, Paul Baldauf, Assistant Commissioner of DEP’s Division of Air Quality, Energy & Sustainability, sits down with Bob Bostock to discuss a large piece of the air quality puzzle – energy. For more information on DEP’s efforts for Air Quality Awareness week, and to find out more about DEP’s role in air quality and energy, please visit http://www.nj.gov/dep/cleanairnj/. Like DEP’s Air Quality, Energy and Sustainability page on Facebook: https://www.facebook.com/NJDEPAQES/. Check the air quality in your area by visiting http://www.njaqinow.net/. To learn more about national efforts for Air Quality Awareness Week, please visit https://www3.epa.gov/airnow/airaware/.